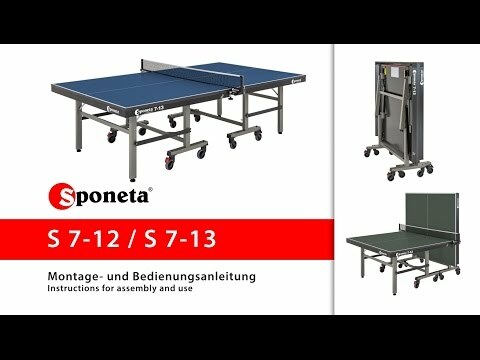 The Sponeta Master Compact ITTF Indoor Table Tennis Table is a 2-piece table with a removable net post set that must be un-clamped when folding the table. It has an ITTF approved 25mm table top, wheel brakes, playback for solo practice and leg levellers. We strongly recommend taking a look at some of the other brands as this table is incredibly expensive in comparison to similar models.